If someone had told me that I would walk out of a facial being told to consume vinegar and honey every day, I’d have laughed in their face. But that was before I met the inimitable Marie Reynolds. And now, I wouldn’t let a day go by without imbibing that rather odious, yet effective concoction. But more on that later. Right now, I want to tell you more about the fabulous facial and Marie herself. Marie Reynolds is a very special kind of beauty therapist. Whereas most therapists would be content with what they learn at “beauty school” Marie went further (and further still) and has learnt all about homeopathy, Genetics and even some Chinese Medicine. The end result is a facial “experience” unlike any other. Prior to my session with Marie, all I had been told by the very lovely Shirley Dunmall was that this was going to be a very different kind of facial, but nothing more than that. So with no idea of what to expect, along I went, imagining nothing more radical than an extra cleanse or extra facial massage or some such. What I experienced was very different indeed. From the moment I walked in Marie intuitively knew things about me and what was going on, emotionally, in my life. Within minutes of meeting her, I was in tears, as emotions long pent up were released and Marie hadn’t even started the facial yet! Looking at characteristics of the face, feet and ears as well as my body language and even my head shape, Marie could determine which of my internal organs was dominant and affecting the rest of my body and health, which would also have a specific bearing on my skin and its condition and appearance. Just by looking at the way I held myself, how I lay down on the therapists bed and even the way I held my hands told her all about my emotional well-being (or not!) and what needed to be addressed. What followed was an hour of bliss, tailored specifically to my skin and body’s needs, using the products from Image Skincare that were best suited to me. I would imagine each and every facial Marie gives is unique, not only to each client but also to that client’s needs at THAT particular time. I could have chatted to Marie for hours – her wealth and depth of knowledge drawn from so many different disciplines gave her a totally unique perspective on looking after yourself. With so much information all in her head, I’m really hoping she writes a book at some point in her career and gets it all down on paper for us all to benefit from her expertise. Even her little ‘throw away’ comments that are merely part of conversation are nuggets to be treasured – the vinegar and manuka honey treatment being a perfect case in point. A quick mention from me about the skin around my eyes and quick as flash, Marie was able to tell me why and what might help. All hail manuka honey and vinegar. 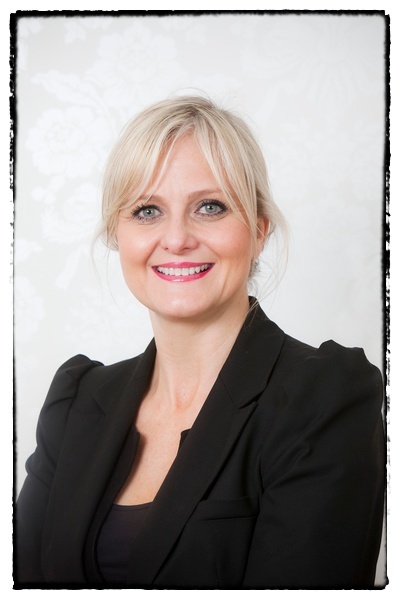 Marie works with Image Skincare products and has a clinic in Kent, but she also practices as a guest therapist in FOUR London in Mayfair (which is where I met her). I’m also using some of the Image skincare products “prescribed” for me by Marie, which I’ll be writing about soon. Most recently, she has also teamed up with Origins, which I’ll tell you about tomorrow! Marie’s a huge believer in the holistic approach to well-being and her Aromawax Candles take her approach to another level. Using ethically sourced soya wax, each candle can be used either as a face/body balm in its solid form, or once melted, the wax can be massaged into the skin, which is what Marie did for me – utter bliss! The latest fragrance in the range, Passion, which was released for Valentine’s Day, contains gold leaf particles that leave a gorgeous sparkle on the skin when it’s massaged in. This was a press appointment, but I would have absolutely no hesitation in booking in a series of facials with Marie as I feel she just “got me” instinctively, so for me, it would totally be worth the money. You can find out more about Marie Reynolds HERE and about her candles HERE. Wow, I think I need an appointment with her! Sounds so interesting – she sounds amazing. When you mention vinegar do you mean apple cider vinegar? I take a tablespoon of that every day. I am also trying to take more honey – I do drink hot water and lemon every morning so maybe I will add honey to that from now on? Yes, I’m taking apple cider vinegar (organic) and manuka honey with hot water. Interesting that you also take vinegar – what do you take it for?